Who was Captain Robert Scott? An introduction to Robert Falcon Scott. A presentation summarizing his achievements and legacy from the Heroic Age of Antarctic exploration for use in schools by teachers and students or anyone interested in his story. Captain Robert Flacon Scott is one of the best known of the explorers from the Heroic Age of Antarctic exploration in the early years of the 20th Century. He was a British establishment figure who first went to Antarctica to lead the Discovery expedition, a wide ranging scientific expedition with an attempt to reach the South Pole as well, Scott and two others came within 530 miles during their attempt. 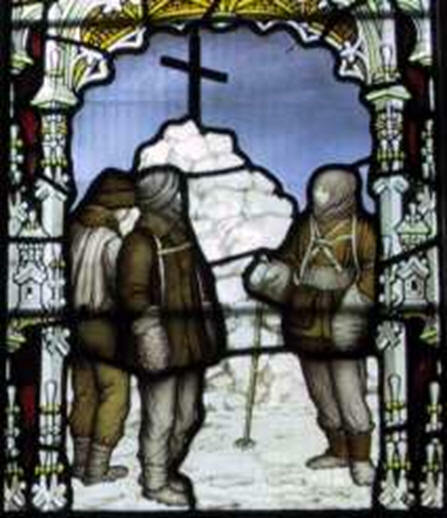 On his next expedition on the Terra Nova, he succeeded in reaching the pole but he and all of his party of five men died on the return journey. Copyright: Material on these pages is copyright Paul Ward / CoolAntarctica.com. It may be used as a presentation or printed for personal or public performance as long as it is not for direct or indirect commercial use (no pay to view, no use behind a paywall). It may be altered or modified, but not made publically available or transmitted to others in original or modified form without the written permission of Paul Ward / CoolAntarctica.com. Don't even think about trying to sell this free resource! (some people do, shocking isn't it?) Most of the pictures are in the public domain. On the 17th of January 1912, Briton Robert Scott arrived at the South Pole with a party of four others to find a tent with messages for him from Roald Amundsen who had arrived about 5 weeks earlier. 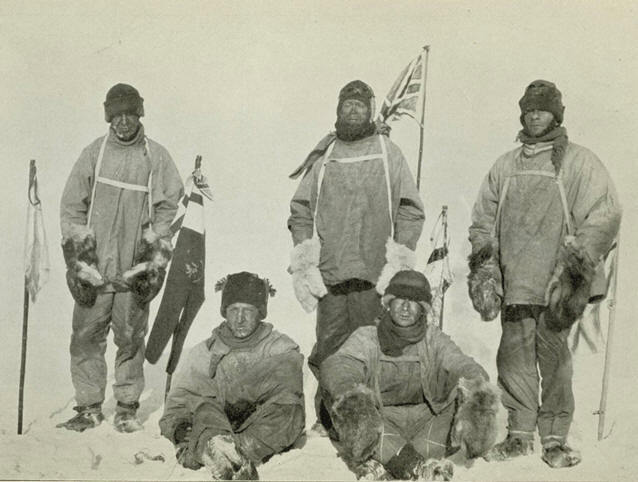 Scott's team had arrived at the pole 77 days after leaving their winter base by manhauling, walking and pulling their sledges behind them. 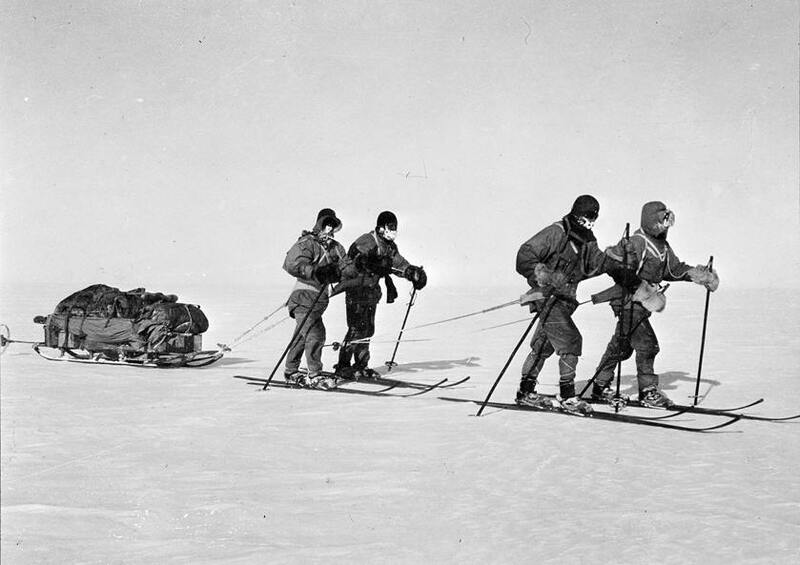 Though they had taken motor sledges, dogs, ponies and skis to Antarctica, they didn't use them effectively. 3 - Manhauling was also seen as a more "pure" approach to the task. They were in poor condition when they arrived at the pole living on a starvation diet that was insufficient for their needs. A combination of weather, starvation, scurvy and accidents led to the deaths of all 5 men on the return journey, just 11 miles from a food and fuel depot that could have saved them. 4 - Scott's party had woolen underwear and insulating layers with a windproof outer layer, this system is used today with more modern materials. Scott's clothing lacked ventilation and soaked up sweat during the heavy exertions of manhauling which then froze. 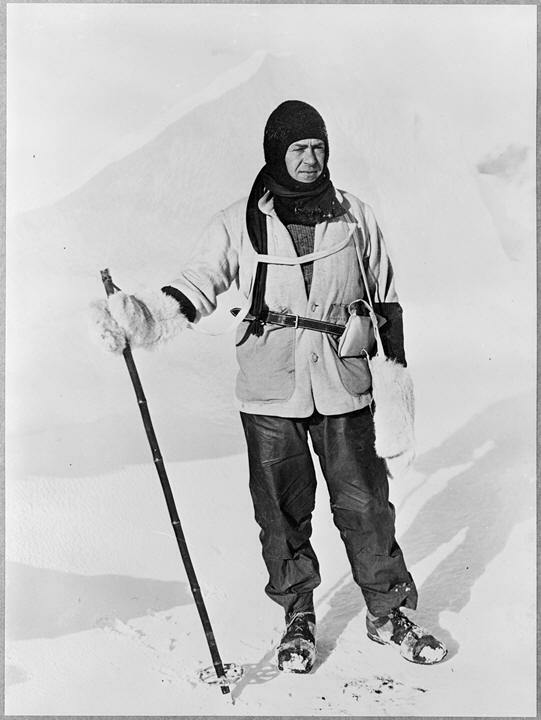 Scott was a Naval man, he had turned to polar exploration as a means of seeking advancement partly due to reduced family circumstances, he wrote: "I may as well confess that I had no predilection for polar exploration". 5 - His first Antarctic expedition had been in 1901-1904 on board the Discovery where he first attempted to reach the pole coming to within 530 miles. 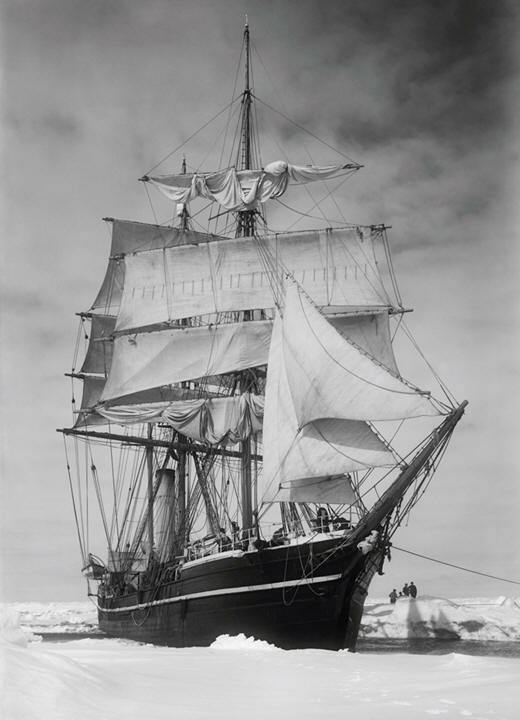 The next expedition was on the Terra Nova which departed Britain in 1911, there was a significant amount of scientific work planned, he also said that the main objective was "to reach the South Pole, and to secure for the British Empire the honour of this achievement". Something that Amundsen later claimed he thought was a minor aim of Scott's. 6 - The bodies of Scott's party were not found for 8 months after they died in their tent. Word reached New Zealand on the 10th of February 1913. 4 days later on the 14th of February a memorial service was held at St. Pauls' Cathedral London, attended by the king. The men were regarded as the most worthy of heroes. A public appeal for money paid off all the expedition debts. Payments were made to the widows and children of the dead men. What remained paid for the establishment of the Scott Polar Research Institute at Cambridge University. A museum attached to the institute houses many objects from the expedition and continues to be a world centre of excellence today. 7 - Dozens of public statues and monuments were erected to Scott and his party over the next few years in Britain and other parts of the world. His reputation was further enhanced by books and films up to the middle of the 20th century. Scott wasn't so much recognised as glorified. 8 - His widow Kathleen, was made Lady Scott in recognition of the knighthood her husband would have received. In the latter half of the 20th century, access was allowed to Scott's original journals, failures of preparation and leadership began to emerge, cracks appeared in the Scott myth. 9 - Today Scott is seen more in context with his time. Amateurish at times and held back by protocol at others, though ultimately virtuous of intent, gentlemanly in conduct and able to see the bigger picture beyond the headline attainment of the South Pole. Scott recognised the importance of science in Antarctica and was a leading light in scientific as well as geographic exploration. In addition to many places named after him in Antarctica, the research station at the South Pole is called the Amundsen-Scott Station. In no small part, Scott's legacy is the amount of scientific research that takes place in Antarctica today.